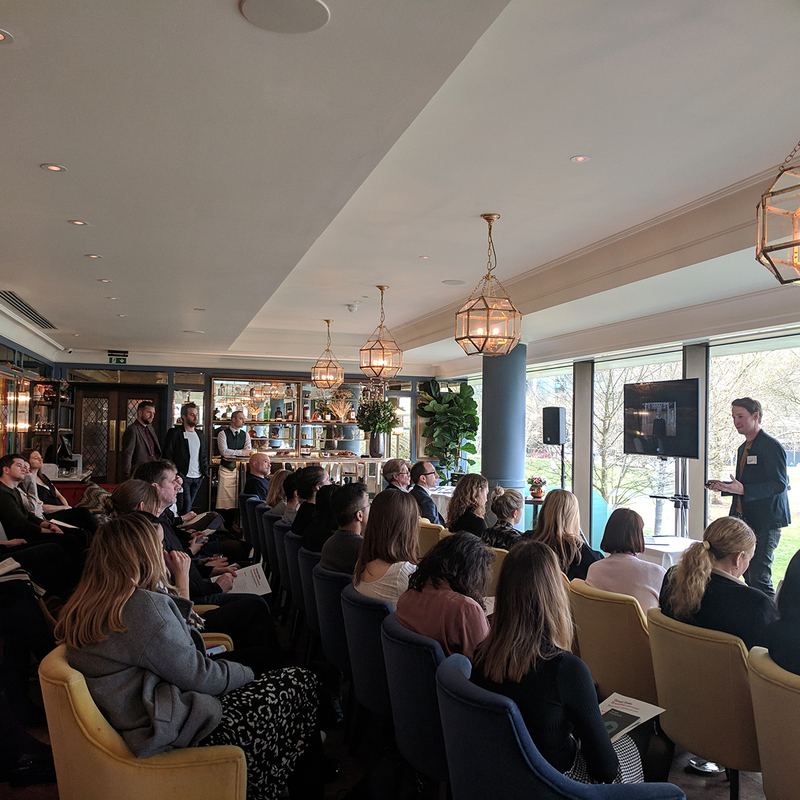 Our latest thought leadership event focused on the benefits of delivering a personalised content strategy. Here we share the insights from this popular morning and if you missed out, or want to extend the knowledge you gained amongst your peers, we’re sharing topline take-outs at an exclusive webinar on May 8. Whilst most brands recognise that harnessing the information and data they hold about their users and customers is both valuable and important, not all are managing to deliver successfully on their ambitions or to utilise the potential it has to offer. We understand that getting up close and personal with your customers requires a complex blend of deep customer insight and strategic acumen delivered with creativity, using the right supporting technology. Our experts revealed the keys to our success with clients such as Deliveroo, Arla and the Royal Navy. They also shared our strategic framework for delivering a persistent engagement programme underpinned by a consistent narrative that reinforces the brand’s core purpose. Our partners at Sitecore then shared case studies of personalisation in action. He then asked brands to consider, as you develop more personalised experiences, are you building trust or just developing more sophisticated forms of tracking? Jack Ashdown, creative director at Great State, stated that data is key but not king. Taking the deep consumer insights we glean from our qualitative research, he explained that consumer journeys are not linear. Brands need to develop a content narrative that has its purpose at the core but is flexible to the need of the consumer at every stage in their journey. He shared Great State’s content strategy for the Royal Navy as an example. In order to achieve success, we plan the content narrative not the content journey, using a range of channels and asset types to ensure we communicate the right message in the right way, at the right time. This enables us to focus on context not content as the driver of our successful engagement. Kate Fitzpatrick, lead strategist at Great State, revealed the five strategic building blocks we have implemented for Versus Arthritis and other clients to deliver content with measurable impact. These combine strategy, analysis, team, tools and processes and technology. Learning from the wider market, Charlie Bell, Sitecore, revealed how personalisation is nothing without context. Content needs to be delivered to the right person at the right time using the right channel. He showed how L’Oréal has designed highly-personalised consumer services and how Danone Nutricia has improved the personal experiences of mothers—with incredible business results. We will be sharing more detailed insights from each of our experts from the event over the coming weeks. We are presenting an abridged version in a follow up webinar at 2pm on the 8th May. Our senior strategist, Kate Fitzpatrick, will share her steps for implementing an actionable content strategy and we will explore some examples of smart content in action with Charlie Bell at Sitecore. Please sign up here to join us.